The world’s largest island country is Indonesia, which boasts over 13,000 islands. It’s the 14th largest nation in the world by land area, and the 7th largest in combined sea and land area. With over 261 million people, it’s also the world’s 4th most populous country, and the most populous Muslim-majority country. Java, the world’s most populous island, contains over 50% of the country’s population. Indonesia has some of the largest protected areas in the world. In 2016, these covered 23.2 million hectares (57 million acres), an area almost the size of New Zealand. 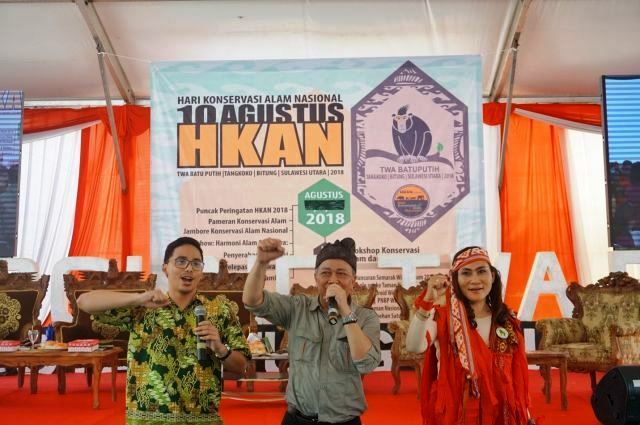 These areas—made up of national parks, nature reserves and wildlife reserves—are a vital part of Indonesia’s environmental conservation strategy, safeguarding the country’s rich endemic biodiversity and some of the oldest forests in the world. The park office worked with the Orangutan Information Centre and UNESCO on several restoration projects. They conducted key to their success was educational outreach that reinforced local cultural practices tied to conservation and briefed locals on the job opportunities that conservation and restoration bring. More than 200 students from 21 schools in the area participated in an awareness-raising campaign, including a camp where they learned about the endangered Sumatran orangutan. The program also equipped a van with multimedia equipment to disseminate information on how communities can benefit from ecotourism. These joint outreach efforts were so successful that several parcels of land within the park previously used for plantation activities were returned to the park office. 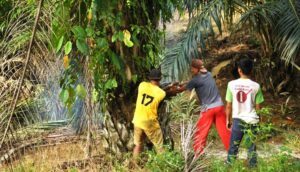 Today, local villagers who used to run the oil palm and rubber plantations in the park in these lands now nurture seedlings, plant trees and monitor the health of new forest growth. So far, 70 hectares (173 acres) of land have been restored under these projects. And while 70 hectares might seem small, it represents a remarkable turnaround in attitudes and actions. East of Gunung Leuser, on the island of Borneo, lies Gunung Palung National Park. Covering 100,000 hectares (247,000 acres), the park is home to the iconic Bornean orangutan, a critically endangered species and a global priority for conservation. Despite the park’s protected status, illegal logging and wildlife poaching persist, threatening critical orangutan habitat. People living along Gunung Palung National Park’s borders are mainly poor subsistence farmers. They lack access to affordable medical care because doctors are so few and far between. As a result, when people get sick, family members turn to the park to cut down trees or hunt animals, which they can sell for cash that helps pay for visits to the doctor and medicine. In other words, the forest’s health is tied to the health of the communities surrounding it. 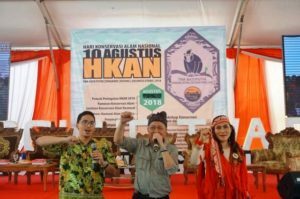 To address this interaction, the Gunung Palung National Park Office collaborated with Alam Sehat Lestari (ASRI), a local NGO focused on public health. 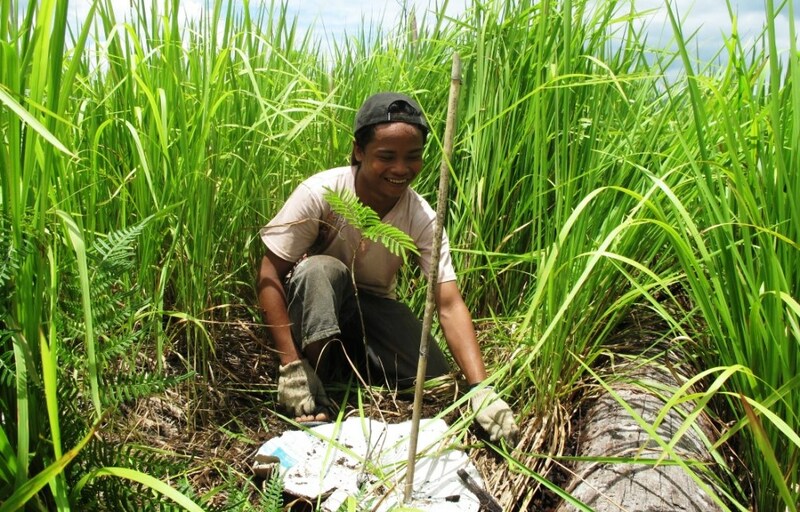 In 2007, ASRI started a program that gave local communities access to ASRI’s doctors provided that communities sign a no-logging agreement, while also offering the option to and pay for medical services by participating in restoration activities, such as planting native trees and native other plants. ASRI also provides education on forest conservation and works with the communities to develop alternative livelihoods. They even started an innovative chainsaw buyback program. If a farmer who wants to start their own business or expand their operations turns in the chainsaw they previously used to deforest, ASRI will provide microcredit and mentorship on sustainable agriculture techniques and financial management in exchange. The program has worked so well that the park’s deforestation rate dropped almost 90 percent, from 1,800 hectares (4,400 acres) per year in 2012 to 200 hectares (500 acres) per year in 2017. Over the same period, the number of illegal loggers dropped by 70 percent, and species diversity increased. With the exception of the opening two paragraphs, this is an article by Satrio Wicaksono, Dimas Fauzi, Fadhilla Husnul Khatimah, Lucas Toh, Adelina Chandra, Reidinar Juliane and John-Rob Pool, which originally appeared on the blog site of World Resources Institute. Reprinted here with permission.